Upcoming restoration & development projects. 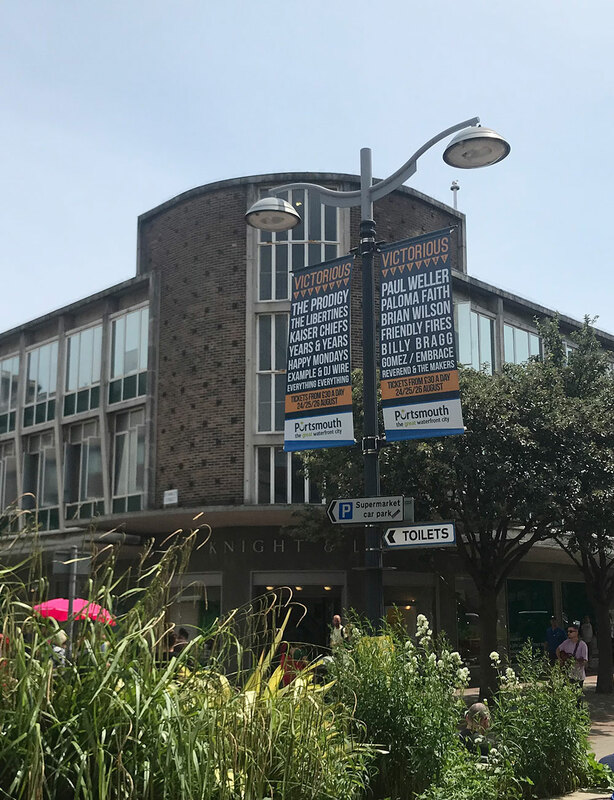 Aptly named At Harbourside, this Torquay development will be positioned on the harbour and just 2 minutes from the beach in the epicentre of what is known as the English Riviera, Torquay. 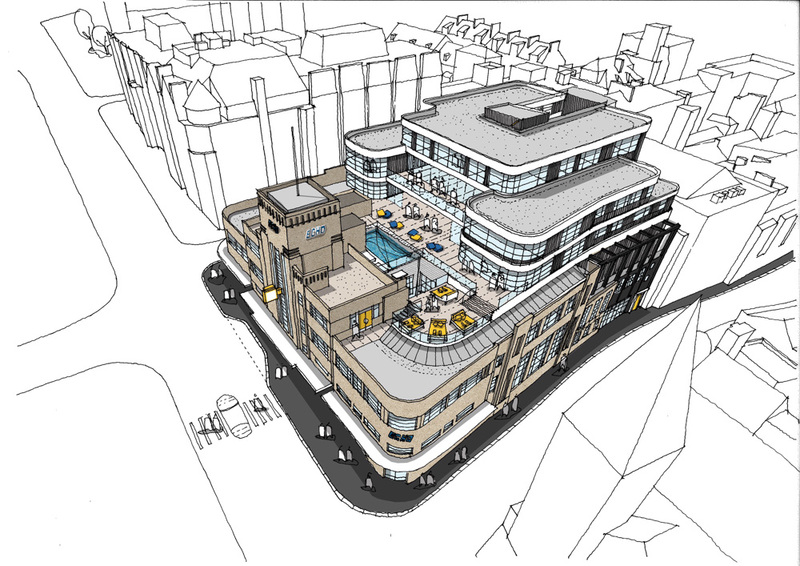 The development will feature a 132 bed Hampton by Hilton hotel. 15,000 sq. ft. class A1 / A3 units, 33,000 sq. ft. class B1 offices. Split across two towers Portsmouth Point will boast approximately 140 residential apartments as well as a 180 bed Hampton by Hilton. Other uses include; 18,000 sq.ft of class B1 office space, 6000 sq.ft of event space and 15,000 sq.ft of A1 / A3 units at ground & 1st floor level. 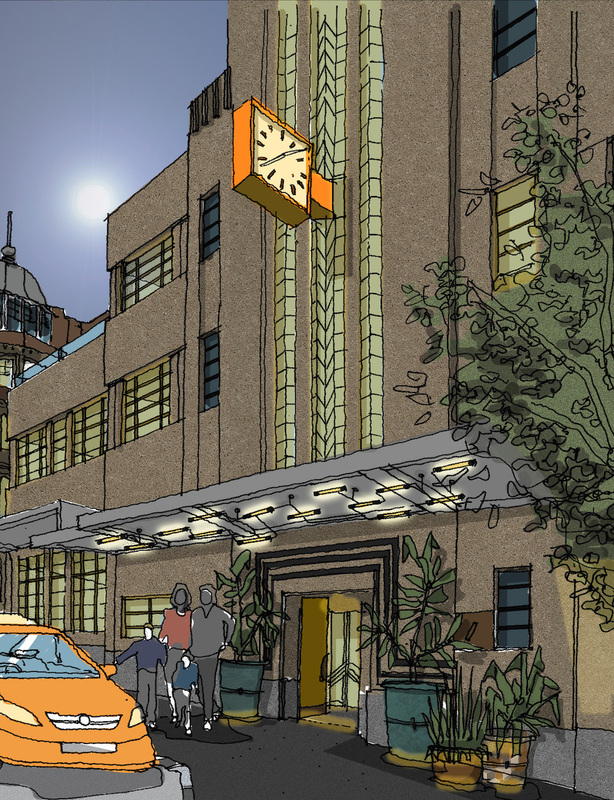 The Echo is an important Art Deco building, built in 1932 for the Bournemouth Daily Echo by the architects Seal & Hardy, who also designed the Palace Court Hotel. Once finished. 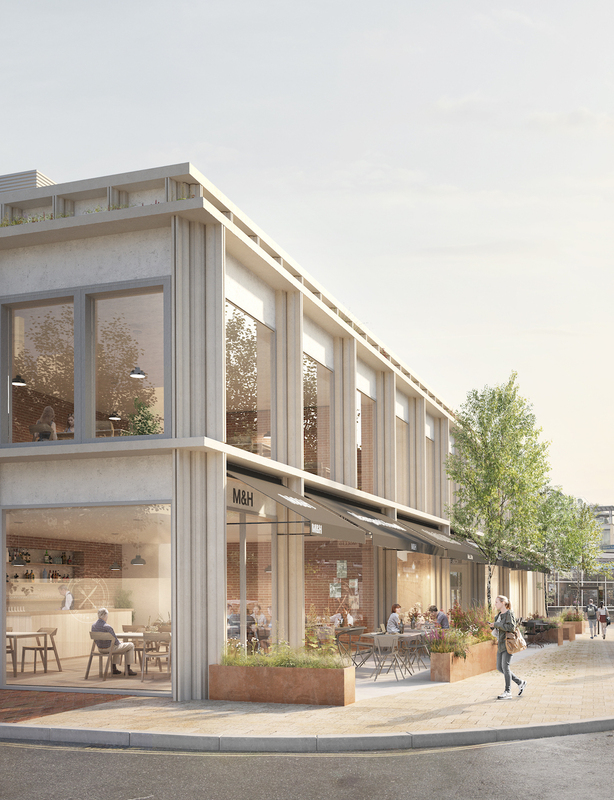 this 65,000 sq.ft, building will feature an extended food and drink offering and a workspace as well as bedroom accommodation on the upper floors. 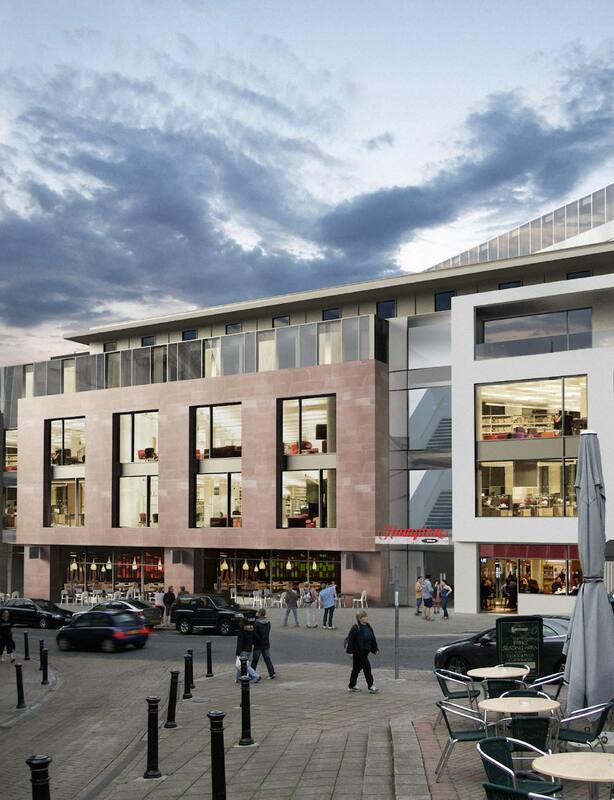 Situated in the centre of Clifton village, The Village will will house 6500 sq. ft. of prime retail space across two floors as well as 18,000 sq. ft. of class A1 / A3 / office units. 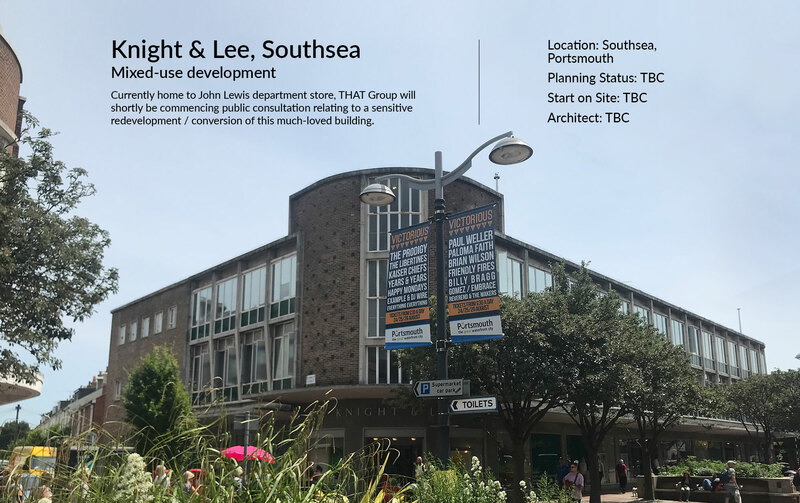 Currently home to John Lewis department store, THAT Group will shortly be commencing public consultation relating to a sensitive redevelopment / conversion of this much-loved building. 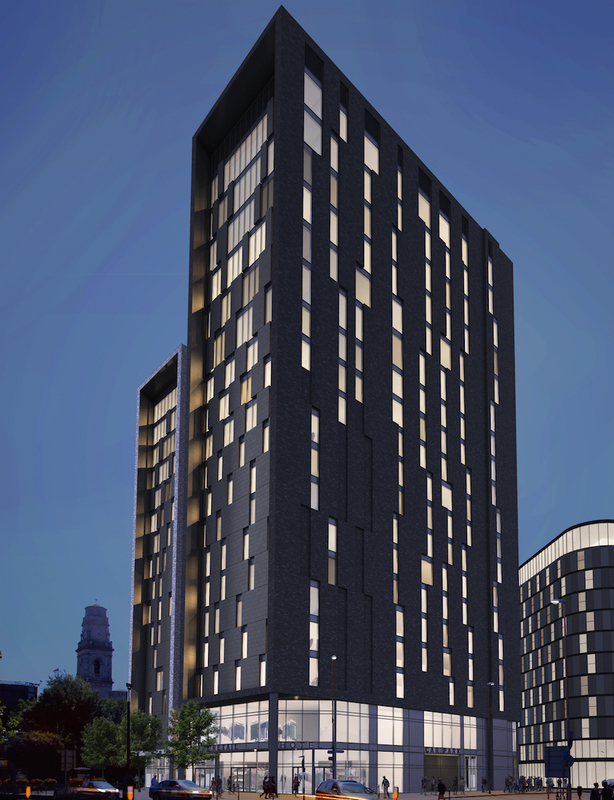 Split across two towers Portsmouth Point will boast approximately 140 residential apartments as well as a 180 bed Hampton by Hilton. Other uses include; 18,000 sq.ft of class B1 office space, 6000 sq.ft of event space and 15,000 sq.ft of A1 / A3 units at ground & 1st floor level. Importantly within the building we will be developing a 6000 sq.ft rooftop bar brand on the 18th Floor. 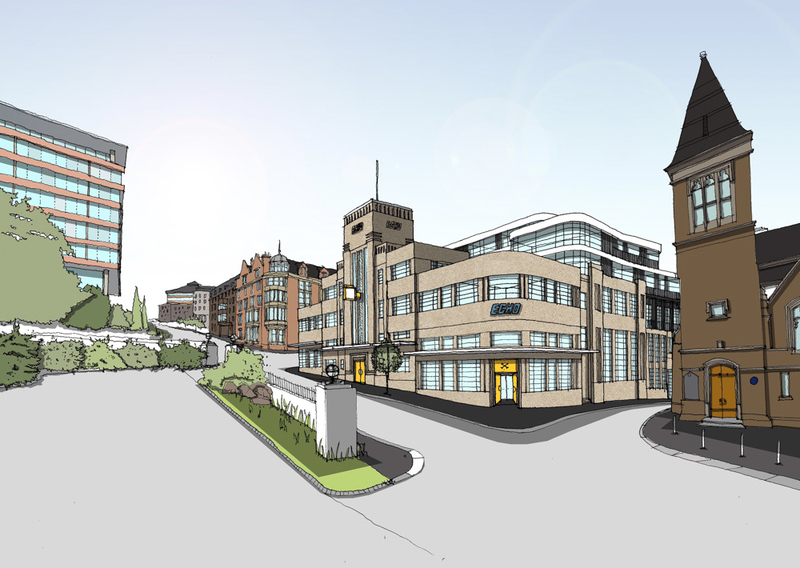 Please note that buildings in the concept and development phases are subject to change. We will endeavour to update our projects as and when possible.